On Monday I posted some pictures about our visit to Lotte World . Here are some more pictures of the theme park. There were many photo opportunities at Lotte world as there were many different rides for the kids to try out and lovely decorations all over. R and I both brought along our own cameras so we took twice as many photos and I only managed to go through and filter all the photographs yesterday. 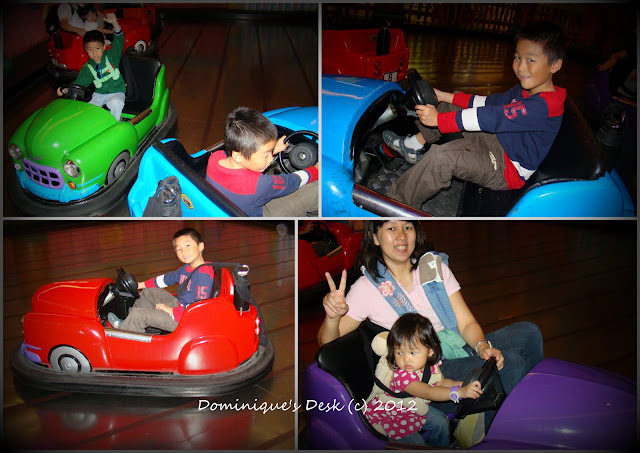 The bumper car ride was the favourite of all the 3 kids and they went on countless rounds on it. Luckily there wasn’t really a queue for this ride and we didn’t have to wait too long for each round. There were a few kiddy rides suitable for Tiger girl. 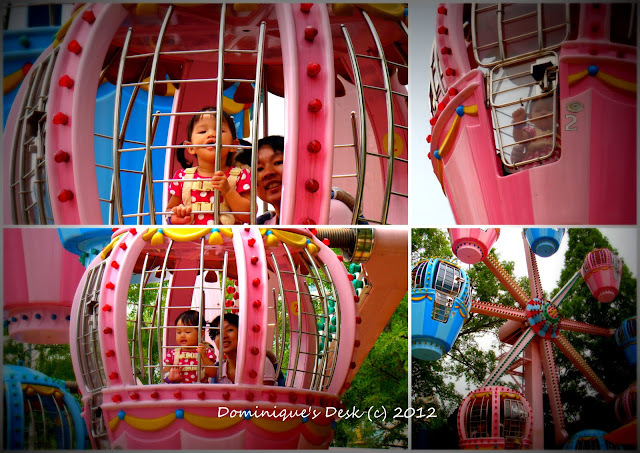 She was really happy to be in the pink capsule of this kiddy Ferris Wheel. 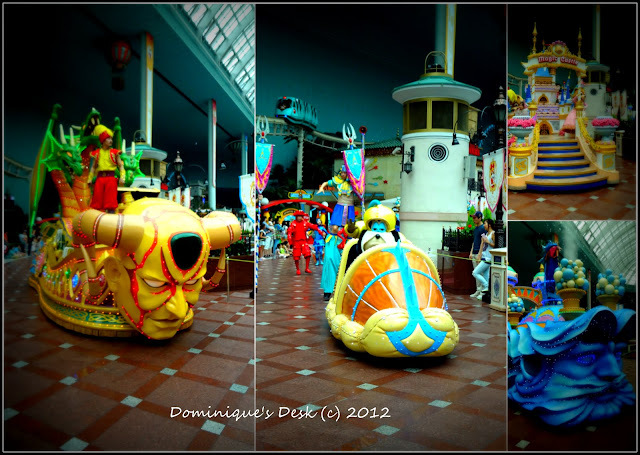 Some of the floats on display at the parade round the indoor arena at Lotte World. We lov the bright colours of the float and the cute creatures/entertainers that were on it. The boys were so thrilled to see this 3 story high ball pit with cannons within Lotte World. Doesn’t it look super cool!! It was based on the theme the Queen of Hearts from the story Alice in Wonderland. The fun exhibits at the ground floor of the ball pit. A great place to teach the kids about air pressure and gravity. Can you guess who he is “shooting” at the other end of the platform? R having fun with the boys. I guess that they all become like little boys when given the chance to play with guns and balls. I am quite sure for kids had fun there. You have really good photos and I love how colorful the place is. Wow that looks like fun! I love all your great pictures, Tiger girl looks very happy and all your boys look like they had a great time!!!! How cool is that ball bit, I would want to play in it! Great to visit and get a chance to check in with your beautiful family! It was really fun. The kids went to another theme park last week too and I’ve yet to get the pictures out for that one. Looks like you had a lovely time! Great pictures. Very colorful and fun filled captures. I hope my son and I can visit Korea soon! This will definitely be part of our itinerary! Those are very nice photos. They look so grown up! I think the men can play very well, don’t you? That park is so nice! Even if I’m no longer a kid, I want to be there. Looks like a lot of fun. Very colorful adventure. Great photos and must have been great fun for the kids! Wow! I love the pictures. It looks like fun! That looks like so much fun! Thanks for linking up for Wordless Wednesday! i haven’t been there but your pictures say it all! the place looks amazing!